Small games are obviously the big trend in game design right now. The Love Letter effect is still rippling across the tabletop industry. Publishers want a compact game with deep play and designers want to sell it to them. One subcategory which intrigues me are the simple majority set collection games. Like many other games, they feature a set of scoring tokens and players compete for majorities. Nothing new there, right? the distinguishing feature comes from the scoring mechanism. Each scoring token has a number. This number is both the quantity appearing in the deck and the point value for holding their majority at the end of the game. 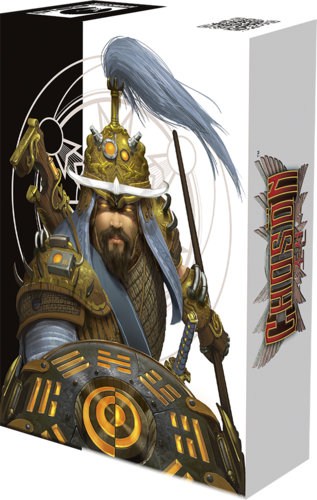 I’ve seen this type of game several times throughout the years–Reiner Knizia’s Cheeky Monkey and Tutankhamen are good reference points–but two stood out for me recently–Koryo and Choson, both by South Korean designer Gun-Hee Kim. What particularly interested me about Gun-Hee Kim’s approach is that he compressed play into just to a deck of cards and a few additional tokens. Kim inspired me to try and build on his work with a Kevin G. Nunn flair. The first goal was to streamline the components even further than Kim. This game must get by on nothing but cards. What shall be the theme? Theme, theme, theme. Theme should compliment the game mechanisms. At the same time, the choice of theme should inform future game design decisions. And I’m stumbling to find something engaging. Reaching back to my pastoral childhood, farms and farm animals become the theme. Always be prepared to revisit every decision. My choice of theme was later overturned in favor of a sorcery theme which better fit the flow of gameplay. I love card drafting but seldom get a chance to incorporate it into a game. Let’s take this as a chance to begin with drafting. Players will get dealt a hand of cards, pick one, pass the rest, and continue this process until their hand has been fully drafted. What to do with the drafted cards? Do players reveal the at each stage of the draft as in 7 Wonders or will they be held until the end of the draft, as in Fairy Tale? Let’s put that decision on hold for now. So what about that game play? The goal is to win pluralities in a variety of sets. Drafting is the method of acquisition. These elements may be a good foundation but they’re not enough. Cards in this game will have multiple uses; each player has a play mat with three locations. Each card must be assigned to one of these spots when it is drafted. Ah–now the solution to the earlier question has revealed itself. These assignments are made face down, not to be revealed until all positions have been drafted. And since the cards are going multiple places, they should have multiple uses. The first location is scoring; any card in this space goes to your score pile. The second location is activation; each card will have its own special abilities which are used only if the card is in this space. 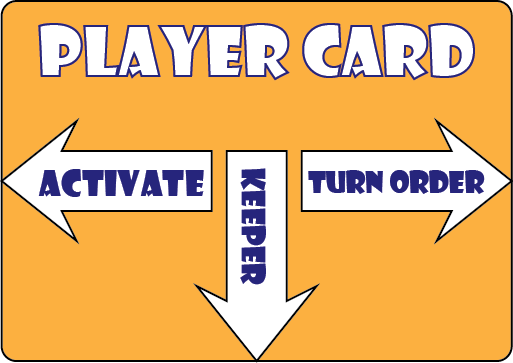 The third is turn order; cards in this space set the order in which players carry out their special abilities. What kinds of abilities will the cards have? I wanted this to be a dynamic game, highly tactical, with a touch of screw-your-neighbor. Abilities let trade your cards with the deck or with other players. Abilities let you negate other people’s powers. Abilities let you replace bad cards. Abilities let you extend your majorities. Abilities let you use the abilities on other players cards. Obviously, these abilities will need to be revisited throughout the development process but they were enough to get something going. 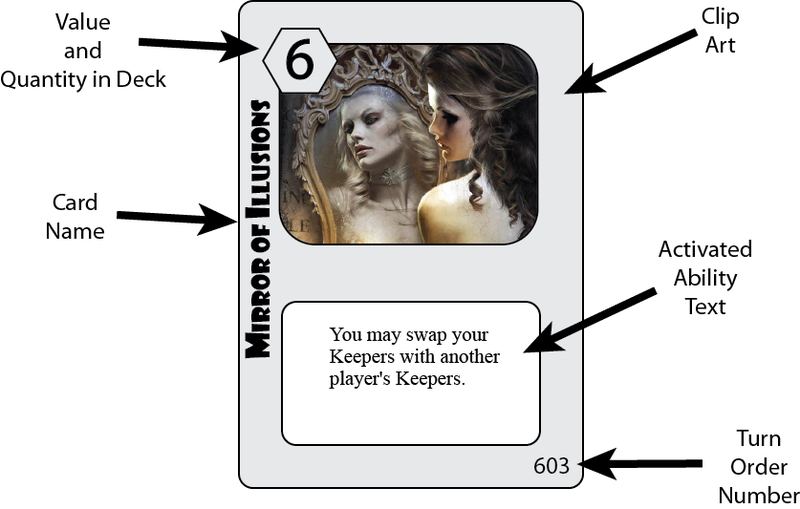 With these abilities in place, we began playtesting with three-card hands. This wound up being a bit dry so we expanded to four-card hands. The first three drafts fill your three spaces. The fourth draft may be used to replace any one of the cards you already drafted or may be discarded directly. We also found that alternating the direction of the draft between rounds relieved the counterproductive tension of consistently sitting in the same player’s shadow. As of this writing, the card deck has undergone five major overhauls. The last two tests have led to only small changes however–tweak an ability here, clarify a power there. It seems to be closing in on its final form. It’s time for a big test with players outside my normal group. Grand Sorcery will be travelling with me to Protospiel this weekend to be abused by some of the sharpest designers out there. Let’s see what they think. What do you think of this game’s design? What is your favorite game in this genre? Why? Have you created any games like this one? What did you learned from the experience? Share with your fellow readers in the comments below. And if you’re enjoying what you’re reading, create an account with WordPress and follow this blog. If you keep reading, I’ll keep writing. I’m bummed I won’t be at Protospiel this year… I would have liked to see GS in action. it sounds more intriguing than either Koryo or Choson! You are too kind. Choson is a heck of a good design. Depending on how it tests, it may also be accompanying me to Gen Con and BGG.Con. I haven’t played either of Kim’s games [or yours, obviously]. I was basing my interest level on other’s reviews. I’ll have to give Choson a shot. Somebody on bgg called it Koryo 2.0. Is that an accurate description? Chosen = Koryo 2.0 is absolutely correct. I just watched Zee Garcia’s video review of Chosen [not sure how I missed it yesterday when I was looking? ], which explained the game much better than any written review I read… definitely a game I want to check out! thanks for mentioning it.